Shane Shirley : Organic, Kosher, Science? What Does it All Mean? Organic, Kosher, Science? What Does it All Mean? I had a great email chat with a friend of mine about organic products. She is a wonderful mom and a very knowledgeable person when it comes to being an informed consumer. She said she was familiar with Arbonne but only used organic. Ya'll know that I am totally about trying to be a consumer of safe products. I would never put anything on my kids or myself if I didn't have the knowledge that it is the purest and safest available. I am not perfect, I'll eat a toxic little cupcake at a birthday party, heck, I might even serve them at one of my kid's parties...maybe, maybe not. Anyway, I know that our founder Peter Morck did everything in his power to set the highest standards for products that are pure, safe and beneficial...it is not a slogan...it was a man's life work. That work continues with the same commitment to purity, safety and products that actually do what they say they will. Thanks Peter. Are Arbonne products certified organic/kosher? What does the source “science” mean as stated in the ingredient lists? 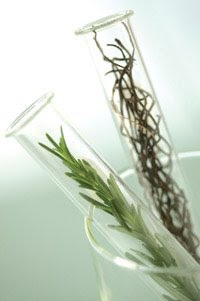 Many botanical ingredients used in Arbonne’s products are organic, from the perspective of having been grown without harmful chemicals or pesticides. Not all ingredients are available as organic which is why we cannot make such a claim. Know that we always choose organic when it is available. Our current kosher products are the Figure 8™ Just Go! Fiber Shake and the Figure 8™ Go Easy! Protein Shakes (Vanilla and Chocolate). Science, as we use it, means man-made/formulated in a laboratory. For instance, natural beeswax is a wonderful ingredient with many beneficial properties. Because it is considered an animal by-product, to use it would not be in compliance with our philosophies. To overcome this, we use synthetic beeswax, which replicates the composition of natural beeswax.